Have you already explored the city and suburbs in and around Melbourne? Are you looking for some more travel and exploration? Well, Melbourne will never disappoint anyone. The travellers can always drive along the steaming freeways and experience the open spaces or the water-lapping sea coasts. Whether a long drive or a short one, the Cheap Car Rentals can let you enjoy many magical spots with great convenience in Melbourne. MELBOURNE CRICKET GROUND (MCG) : Known as ‘The G’, the ground is much more than a sports venue. This place symbolises Melbourne to the world. Being the largest, most popular ad the oldest sporting venue in Australia, MCG as a rich history. It has hosted the first-ever cricket Test match, 1992 Cricket World Cup final, 1956 Olympic Games, 2006 Commonwealth Games, and many VFL?AFL Grand Finals. Apart from cricket, it has also hosted FIFA qualifiers, rugby leagues and international rugby union games. Apart from sports, it has experienced international blockbuster music concerts with a total capacity of a whopping 100,024 people. Historically, it housed US Marines, RAAF and US Air Force during the World War II. The MCG stadium is also known for its National Sports Museum which includes priceless displays of Australian sporting history. MCG is located at a 10-minute walk from the heart of Yarra Park. It is open 7 days a week for the general public, tourists, functions and events. 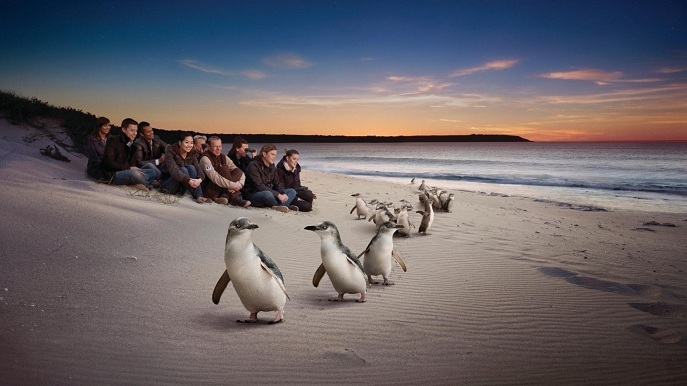 PHILLIP ISLAND : Lying off the Australian southern coast, is the most popular day trip from Melbourne. The spectators gather during sunset at Summerland Beach to watch the Penguin Parade. The Seal Rocks are perfectly viewed at the Nobbies outcrop. Moreover, if you are a die-hard fan of motorcycle and car racing, The Phillip Island Circuit is the most well-known track in Australia. GREAT OCEAN ROAD : It is an adventure and one of the most scenic coastal drives in the world. It is also renowned as an Australian National Heritage site, stretching for 243 kilometres between Torquay and Allansford. It is a perfect route if you want to visit the spectacular sea cliffs, the 12 Apostles, native wildlife, iconic surfing sites, rainforests and beautiful waterfalls – all while driving on the Great Ocean Road. OLD MELBOURNE GAOL : A former prison turned museum, this place is located in Melbourne CBD. The bluestone jailhouse has been famous for centuries for having the most notorious and infamous criminals in-house, especially Ned Kelly. The Gaol operated as a prison between 1845 and 1924. The current museum displays death masks, memorabilia and other information related to the unfortunate inmates who were hanged here. It also offers once in a lifetime experience of being a virtual prisoner in the City Watch House Experience or being a accused/judge/jury in the Old Magistrates’ Court. The Old Melbourne Gaol is also rumoured to be haunted. It organises night tours and stages live performance each Saturday to capitalise its reputation. The Gaol is open every day from 9:30 am to 5:00 pm (Closed only on Christmas and Good Friday). YARRA VALLEY AND DANDENONG RANGES : With a plethora of amazing things to do, the valley and the ranges has a lot to experience. 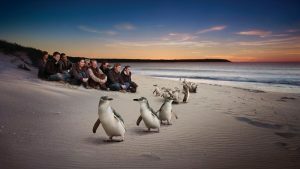 Wine matching, Yarra Ranges National Park, 1000 steps, Dandenong Ranges National Park, William Ricketts Sanctuary, Healesville Sanctuary, Waterfall Wanders, Alfred Nicholas Gardens, National Rhododendron Gardens – there is a lot to experience and explore. Apart from the mentioned, these places are also famous for racing carnivals, outdoor cinema, art shows, music festivals and gardening weekends. Melbourne Car Rental has locations at Melbourne Airport Tullamarine, Melbourne CBD, South Melbourne and West Melbourne. Choose from our fleet and drive across Melbourne with ease and affordable fares.